Tony Trapp founded Tony Trapp Remodeling in 2002 with a single power tool, a 1993 Toyota Corolla sedan, and a lot of ingenuity. His goal was to provide home improvement services so reliably that he would develop long-term relationships with his customers. The business was built on large and small jobs, one project at a time, and Tony Trapp Remodeling now has seven professionals on staff, four dedicated vehicles, over 50 power tools, and most important, a satisfied customer list of over 1100 homeowners. Tony is a NARI Certified Remodeler and the firm provides education and training for all field staff. They’ve earned Lead-Safe Certification from the EPA, trained in OSHA workplace safety for construction, maintained an A+ rating from the Better Business Bureau, and A from Angie’s List. Turn to Tony Trapp Remodeling for: kitchen remodeling, bathroom remodeling, additions, basement finishing, whole house remodeling, structural issues, and more. 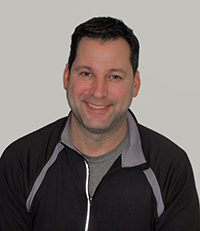 Tony founded the company in 2002, after changing careers from the world of information technology and computer science to home repair and remodeling. Since then, the company has grown significantly and become an award-winning repair and remodeling company with Tony at the helm. Clients regularly rely on Tony to provide them with honest, creative and high-quality service and to walk them through each project. 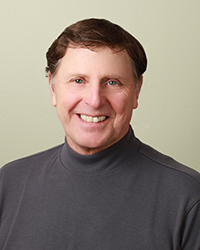 Tony is a Certified Remodeler and served as both President of NARI Madison and Chairman of the Board of NARI Madison. Marc Barnaby became Residential Construction Sales Manager for Tony Trapp Remodeling in 2016. He has over 25 years of construction experience, including working as a carpenter in the field, general contracting, and working directly with clients. He also spent 10 years in professional building material sales. Marc meets with customers to assess remodeling needs, determine solutions and provide accurate estimates. In his free time, Marc enjoys spending time with his family, playing music, fishing and camping. 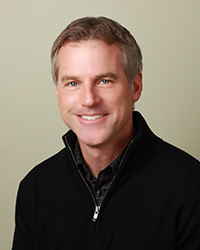 Paul Zoske joined the team at Tony Trapp Remodeling in 2013. Paul has over 15 years of experience in the residential remodeling industry, including 10 years as a licensed remodeling contractor and finish carpenter. 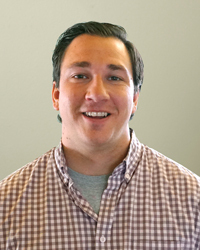 Paul is dedicated to providing high quality customer service by listening and identifying client’s wants and needs and helping them determine the scope and budget on their projects. In his free time Paul enjoys spending time with his family and cross-country skiing. Chris Kehl joined the team in early 2011, and brings more than 30 years of experience in residential remodeling to the table. He holds several certifications and licenses for both safety and industry standards, and believes strongly in a holistic approach to providing services, which allows for the clients to see and be involved with the entire project. Chris is a music fan, car collector, and animal lover. 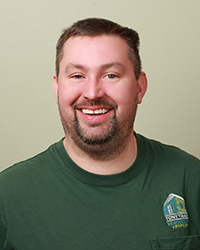 Aron has been in the trades industry for more than 15 years and joined Tony Trapp Remodeling in 2011. As a carpenter for the team, he also holds certifications and licenses in lead safety, OSHA 10, and heavy equipment. When he’s not partnering with clients and paying close attention to the details of every project he’s involved with, he’s spending time with his family or enjoying the outdoors fishing, hunting or golfing. Aron is a Certified Remodeler Project Manager. Tom has been working in the trades for nearly 30 years, joining the Tony Trap Remodeling team in March 2018. 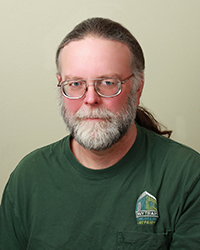 After working for Milwaukee County for a number of years, Tom turned his passion for hobby projects into a career in carpentry, and has been working in the Madison area since 1990. In his spare time, Tom enjoys gardening, furniture building, and improving his own home under the supervision of his Australian Shepherd, Eby. 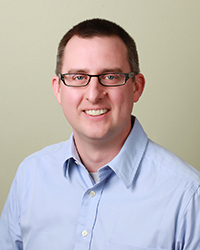 Paul managed Madison-area restaurants before taking his efforts to the remodeling industry. He attended Madison College before joining our team in June 2017. His customer service background reinforces the Tony Trapp Remodeling client-focused approach, ensuring no problem goes unsolved. He often volunteers in the community with Habitat for Humanity of Dane County. Off the job, Paul can be found enjoying the outdoors with his wife and daughter, and listening to his vinyl record collection. 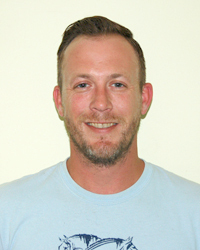 Ty joined the Tony Trapp Remodeling team in March of 2019. Originally from Mount Horeb, Ty spent five years honing his carpentry skills in Colorado with a general contractor before returning to Wisconsin where he developed his talents in masonry. He appreciates the opportunity to work with each home’s unique challenges to create a lasting impact and relishes a day of good old-fashioned hard work. In his free time, Ty enjoys fishing, coaching basketball, and serving the community with his local church, as well as spending quality time with his wife, niece and nephew. 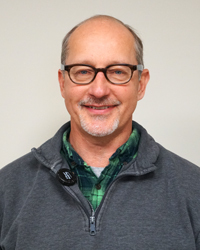 Bill retired in early April 2019 after more than 40 years as a professional carpenter, including 10 years with Tony Trapp Remodeling. Bill always provided a high level of craftsmanship, attention to detail, and creativity to each project. In his retirement, Bill is spending time with his family and pursuing his hobbies of woodcrafts, gardening, fishing and golfing. Tony Trapp Remodeling is committed to giving back to the community. We donate time and materials to Hammer with a Heart, donate used and surplus materials to Habitat ReStore, and provide support for organizations such as SAIL which work to keep seniors in their homes. We value our involvement in community organizations such as the Latino Chamber of Commerce and the Middleton Chamber of Commerce. In addition, Tony volunteers with Hammer with a Heart, and individual team members actively support various community groups and give back to their neighborhoods.